It came on a Saturday morning. It was a little late and it started slowly. But it didn't disappoint - it was one of those special snows that falls so gently - straight down because of the complete absence of any breeze or wind. And even someone who loves the summer and warm weather as much as I do can get excited about the first snowfall of the season. 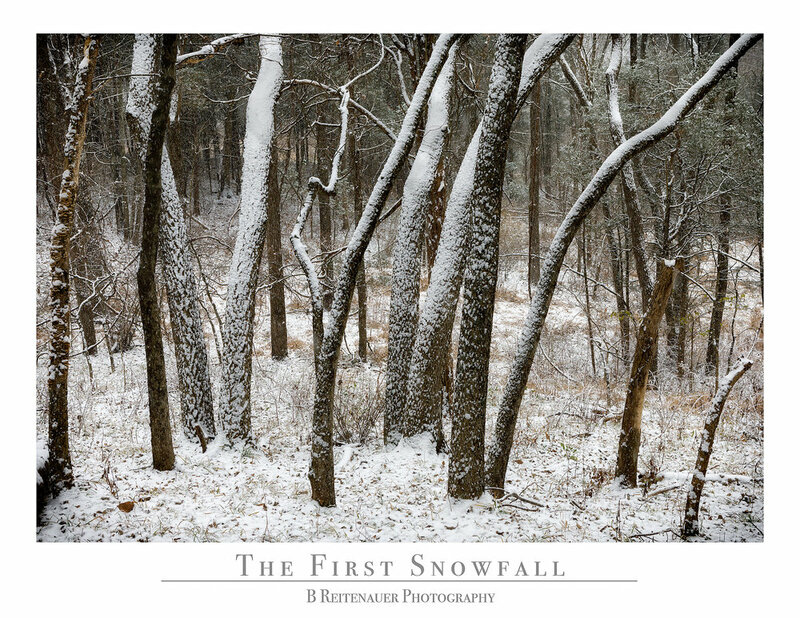 I headed out to a local wooded area and just started walking in the snow with my camera. As I walked and watched closely, I became aware of the change that happens as more and more snow accumulates on the trees. I especially enjoyed the very light, subtle dusting of white on branches that only happens in the first hour of a snowfall. And as the snow continued to pick up, I would occasionally stop and be still, so I could listen to the sound snow makes when it falls. I wandered in the fields and into the woods. And when I turned around and looked back out at the field, I got that feeling of looking into a snow globe. It wasn't snowing on me because of the canopy of trees. But ten yards in front of me the snow was streaming down onto the open white field - as if someone had given this small part of the world a shake. I wandered around for hours - enjoying the sights and sounds of the first snowfall of the season. See a short photo story here, about The First Snowfall.